Brain tumor | "Latest Stem Cells News"
Madison, Wisconsin – More than a decade of laboratory research at the University of Wisconsin has proven that a single chemical compound may both detect and treat malignant tumors and certain cancer stem cells. In three posters presented at the annual meeting of the American Association for Cancer Research (AACR) in Chicago, March 31-April 4, UW-Madison researchers describe exciting advances involving CLR1404, described as a “diapeutic” agent that can both image and destroy a wide range of malignant tumors and the one type of cancer stem cells examined so far. Washington State University researchers provided computer analyses for a new gene therapy study published in Science Translational Medicine. The study – conducted by the Fred Hutchinson Cancer Research Center in Seattle and published May 9 – found stem cell gene therapy could protect blood cells from damage by chemotherapy in patients suffering from glioblastoma (malignant brain tumors), thereby extending life expectancy. In a breakthrough, Harvard scientists have discovered that stem cells loaded with the herpes virus can be used to specifically target and kill brain tumours. Harvard Stem Cell Institute (HSCI) scientists at Massachusetts General Hospital have a potential solution for how to more effectively kill tumour cells using cancer-killing viruses. Warnings are being issued by experts of the dangers of medical tourism saying that unproven stem cell therapy overseas could leave patients worse off. Signing up for stem cell therapy is worth the risk for many people who are suffering with conditions like spinal injury, multiple sclerosis, motor neuron or Parkinson’s disease. A medical journal reported earlier this year that an Israeli teenager developed brain tumors after experimental injections at a Russian clinic. There are alternate reports also of patients contracting meningitis after treatments in China. Stem cell therapy represents a promising strategy in regenerative medicine. However, cells need to be carefully preserved and processed before usage. In addition, cell transplantation carries immunogenicity and/or tumourigenicity risks. 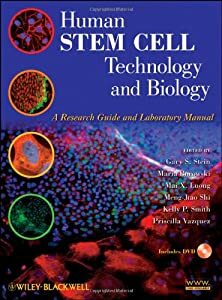 Mounting lines of evidence indicate that stem cells exert their beneficial effects mainly through secretion (of regenerative factors) and membrane-based cell–cell interaction with the injured cells. Here, we fabricate a synthetic cell-mimicking microparticle (CMMP) that recapitulates stem cell functions in tissue repair.